Sweet and naïve Frances is a young woman trying to make it on her own in New York City. One day, she finds a handbag on the subway and returns it to the owner, an eccentric French piano teacher named Greta. Having recently lost her mother, Frances develops a close relationship with the older lonely woman. 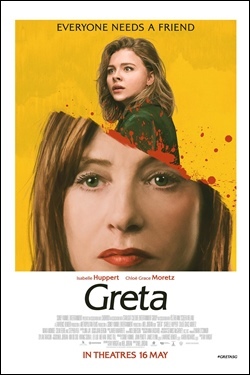 Greta`s maternal charms begin to dissolve, however, when Frances realises that nothing in Greta`s life is what it seems.